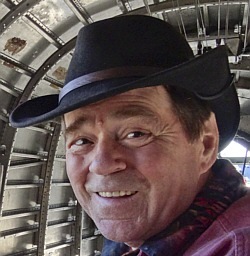 Steiner's first lecture was in Helsinki, Finland, followed by three lectures in Dornach, Switzerland about Our Connection with the Elemental World as revealed in Finland's national epic the Kalevala. Followed by three more lectures in Dornach named The World as a Result of Balancing Influences. Various addresses and a Q&A session followed. My review will be concerned with the first three lectures in Dornach. The remain lectures will be reviewed in a future review. This is a difficult book to read, set in the first half of his lecturing career when Steiner was moving from teaching theosophy to teaching anthroposophy. 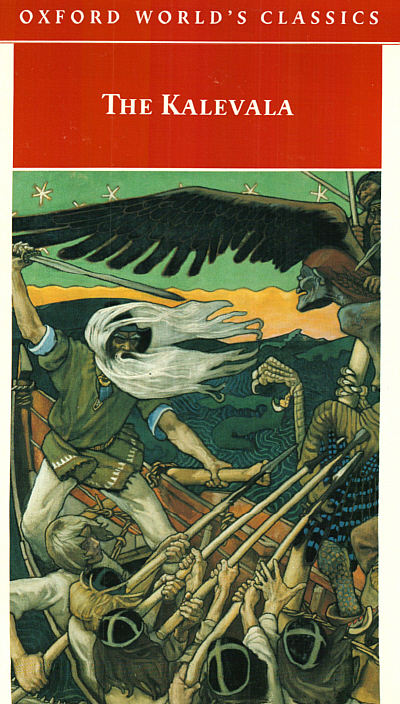 His trip to Finland brought him in contact with the Kalevala in which he encountered an awareness of the three-folding of human nature in the ancient Finnish epic poem. He also came upon a Norwegian folk poem, The Dream Song of Olaf Åsteson, which was read aloud in its German translation. In his public lecture Steiner takes us to a reality-based human evolution much different from that which is speculated and postulated by ordinary science. [page 12] Nevertheless, for someone who enters into spiritual science in the way that I intend to explore it in my next lecture, what I am saying is no mere hypothesis but the result of real research which can be placed alongside the results of other scientific research. The things that I need to speak about sound strange because present-day science, which believes that it stands firmly on the ground of real facts, of what is true and uniquely attainable, limits itself to what our outward senses perceive, to what an intellect that is bound to the senses and the brain is able to discover. Hence it is generally considered unscientific today if one speaks about a method of research that makes use of other soul-forces, which have the capacity of beholding the supersensible world and the interweaving of this world in the sense-perceptible domain. The research method of spiritual science leads one not merely to the abstract fantasy that leads Herman Grimm to say what he does about national epics but, rather, to something that goes far beyond fantasy and portrays a completely different state of soul or consciousness than is possible for man to have in the present period of his evolution. Hence we are led back by spiritual science to a former time in human evolution in a completely different way than occurs in ordinary science. Ordinary science postulates that human beings grew out of advanced animals, but spiritual science finds that human beings existed before any animals existed, and thus animals fell away from the evolution of human beings: the exact opposite of what ordinary science postulates. [page 13] In spiritual science we also have an unprejudiced view of how as regards outward forms everything is indicative of man's relationship to other organisms, but if we trace the evolution of mankind backwards we cannot go back to some dim, distant past when the stream of humanity was inserted directly into animal development. What we actually find when we reach back from the present is that we are never directly able to derive the present human form from any animal form that we know from the present. We can determine when the process of thinking occurred in human beings and establish that to about 600 B.C. This was the time of the Greek philosophers and when Homer converted the oral traditions of The Iliad and The Odyssey to written form. From many sources we find this time period to be a watershed in human evolution of consciousness. Humans lost the ability to retrieve long narratives directly from the spiritual world and acquired the ability to record long narratives in physical form. [page 13, 14] . . . as we reach back into the past and observe how the human soul has changed, if we compare how people think today (whether scientifically or otherwise), how they use their intelligence and powers of feeling, with how people thought in the past (which we can establish with a certain precision), we find that this faculty first appeared amongst mankind at a particular time, namely in the sixth or seventh century before Christ. The entire configuration of present-day feeling and thinking cannot be traced further back than those times when the first Greek philosophers were said to have lived. Humans as portrayed by Achilles, Hector, Paris, Agamemnon, etal, in the Homerian epics did not act as humans do today. [page 14] Instead people had a certain immediate, instinctive certainty. They acted out of direct, elemental impulses, which they did not control through a brain-bound intellect. . . . Imagination, intellect and reasoning power were all mixed up with one another in those ancient times. The further we go back, the more we find that the quality that lived then in people's souls as an inseparable combination of imaginative and intellectual faculties was one that we would no longer associate with the soul-faculty that we call imagination today. Instead we find those early people had in place of imagination an atavistic clairvoyance, which in our modern times is hidden from us. This clairvoyant ability gave ancients access to epic stories they could verbalize, an ability which faded away over time and was replaced by the art of writing which enabled humans to recall long narratives of historical events. [page 17] If we were to go back beyond Homer, we would find that people had a clairvoyant consciousness which had a recollection of pre-historical events in human development and was able to relate a memory of what had happened in this early time. By Homer's time the situation was that, although there was an awareness that the old clairvoyant consciousness was waning, people continued to feel its presence. Humans felt the presence of this native clairvoyance as if gods were talking to them. We can find evidence of this in the first lines of the Iliad and the Odyssey, but not in the first lines of the Aeneid, written some 600 years later. The Iliad begins, "Sing to me, O Muse of the wrath of Achilles," and the Odyssey, 'Sing to me, O Muse, of a curious man," but the Aeneid begins with, "I sing of arms and a man." Virgil acknowledges himself as the writer of this later epic, but Homer acknowledged earlier only that he received his epics from his clairvoyant consciousness, which he attributed to his Muse. Today we humans are organized much differently than the ancient Greeks. We are comprised of three parts or outward bodily sheaths: consciousness soul, intellectual soul, and sentient soul. [page 21] We conduct our soul-life in such a way that we experience within it what our eyes see, what our ears hear, what our senses are able to apprehend and what our mind can grasp. We live with our soul in our physical body. Inasmuch as our soul lives in the physical body, our term for it in spiritual science is the consciousness soul, because only through becoming fully immersed m the physical body in the course of human evolution has it become possible for man to advance to ego consciousness. But our soul also lives in our etheric body and we call this our mind soul or intellectual soul. [page 21] The soul indwells the ether body in such a way that its forces are its own, but we cannot say that they are our own personal forces. They are universally human forces, through which we are much closer to all the hidden mysteries of nature. In so far as the soul perceives these forces in an outward sheath and specifically in the ether body, we speak of the intellectual or mind soul as a second soul-member. So just as we find the consciousness soul in the sheath of the physical body, we have the intellectual or mind soul enclosed in the etheric body. Our third aspect is life in our astral body, an even more refined body which can reach into the supersensible world. 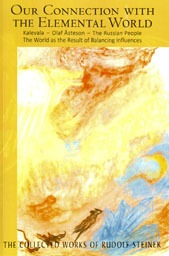 [page 21] Everything that we inwardly experience as our intimate secrets, as what is hidden today from consciousness and was experienced at the time of the old clairvoyance as the creative forces in the evolutionary process emerging from the events of the dim and distant past, all this we ascribe to the sentient soul, which is enclosed in the most refined human body, in what — if you will excuse the technical term — we call the astral body. It is that part of man's being that forms a connection between the outer earthly environment and what lives as an inspirational element in his inner being. This latter is something that he cannot perceive through his outer senses, and neither can he perceive it when he looks into his own ether body, rather does he perceive it when he becomes independent of himself, independent of his ether body, and is united with the forces of his origin. And deep suffering were woven. Steiner explains that the old folk understood the spiritual basis of existence similar to the way his spiritual science endeavors to teach us today. [page 29] Thus everything in existence is born not out of material substance but out of the realm of soul and spirit — not only this old fork rune but also spiritual science, which seeks to play an active part in the living cultural development of our time. When I was eighteen I entered a college bookstore for the first time and was amazed by the books available that I had never encountered in my public and high school libraries. One of these was the Complete Essays of Ralph Waldo Emerson. This book became my constant companion in those moments when I was not engrossed in my official university studies. I was enthralled by his thoughts which expanded my own world for me. His essay, "Self-Reliance", became my favorite and was the most often re-read essay. 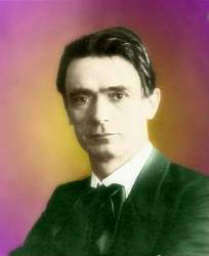 It wasn't until I encountered Rudolf Steiner's works some twenty-plus years later that I found a thinker as deep as Emerson again. It does not surprise me to find that Steiner highly regarded Emerson. [page 64, 65] One of the greatest figures of the nineteenth century is without doubt Emerson, who writes in a language which, while not being philosophical in a pedantic sense, is particularly impressive. Whether he is speaking about nature or about the human race, Emerson shows again and again how the outward structure of the world, which man perceives with his senses and understands with his intellect, is merely an outer sheath, a phantasmagoria, and that one only arrives at truth if one tries to reach behind this phantasmagoria. But a mind such as Emerson's goes beyond this. In order to exemplify what I mean, I should like to refer to one of his many remarkable books, Representative Men. In this book he cites Plato as the representative of all of humanity's philosophical endeavors, Swedenborg as the representative of mankind's mystic strivings, Montaigne, a remarkable figure from the sixteenth century, as the representative of scepticism, Shakespeare as the representative of the realm of poetry, Goethe as the representative of the skill of writing and Napoleon as the man of action, the representative of the will. Emerson achieved something highly significant with this book. Particular human qualities are singled out and related to certain individuals. It would be an interesting study to try to discern how Plato is the representative of philosophical endeavor and Montaigne similarly the representative of scepticism. This book is one of the greatest achievements of the human mind. [page 65] The sceptic, who is acutely aware that whenever one formulates a truth in strict terms one is inevitably in the wrong, is deeply affected by the soul-spiritual fluid that is constantly present in the human soul and prevents one, from the moment of one's contact with the spiritual world, from advancing a sharply outlined truth without also indicating that there is some justification for the opposite point of view. [page 67] . . . behind what he imparted in this way to mankind there were some more intimate aspects — such as the instance that I have mentioned, when the idea of repeated earthly lives shone through in a very genuine way. Where does such an idea come from? It is surely not from the external world of science which only accepts what it experiences through its senses. No, but when even a scientist is asleep, a part of life otherwise unknown can be revealed. The chemist Kekule was asleep when he observed the benzene molecule turn into a circle like a snake and bite its tail, from which the waking Kekule deduced the ring structure of the organic molecule benzene. As Shakespeare put it, "There is more in heaven and earth than appears in your philosophy, Horatio." [page 67] What is the source of such a remark? This question can only be answered if one considers all aspects of human nature. In his life on Earth a human individual is aware only of the most insignificant part of his nature, he knows only that part of his life which is spent between waking up and going to sleep. The other part of his life is spent in sleep, and this part of human life has many, many aspects. How often do we say, when confronted with a seemingly unsolvable problem, "Let me sleep on it," and awake with solution in our mind, like Kekule did? Certainly this way of valuing one's dreams was appreciated by Emerson, which made him an early example of an anthroposophist, before Steiner had coined the world. [page 69] But if we now turn our thoughts to individuals who are as worthy as Emerson, we should make it quite clear that they are not larking about when they are asleep but that what they do is above reproach. When they are in the spiritual world with their ego and astral body, they have a relationship to truths, to what is to live amongst mankind as true anthroposophy; they become aware of what is to become the physical knowledge of the future. One could say that Emerson receives something of this kind in sleep. This is why it finds expression in what he has to say about physical life, as he surveys the full extent of earthly life with his physical senses and intellect, in so modest and intimate a way. Emerson knew himself as a true anthroposophist long before Steiner had reached age 18. Steiner revealed how ideas that may be unacceptable in the light of day or in public circles may come to us while we are sleeping. We may reveal the essence of the ideas lacking any consciousness of their deep meaning. [page 69, 70] Now it would not be in accordance with the rightful path of human evolution if it were simply to remain the case that human beings should perceive what lies behind sensory appearances, the phantasmagoria of the senses, only while they are asleep; for it is of evolutionary significance that sleep life will increasingly cease to have a part to play in the quest for knowledge. It takes a great spirit such as Emerson to arrive at an idea such as repeated earthly lives from one's sleep life. Nevertheless, it must be possible for spiritual insights to come to humanity, to gain entry to human lives. Thus whereas these truths have hitherto been proclaimed — as if in a kind of dawning light through individuals such as Emerson — in connection with the innermost life of the soul, there needs now to be a more earthly basis for understanding such truths in clear waking consciousness. The earthly aptitude must exist for feeling that it is perfectly natural to recognize these truths. You will be well aware from the fact that there are still only a handful of anthroposophists that this is not as yet perfectly natural, and all those who stand outside the anthroposophical movement regard us as fools or something of the kind. But those who receive insights in their sleep, as did Emerson, will communicate these spiritual truths in their writings about everyday life. When I first read Emerson at age 18, his truths attracted me by a time-wave of feeling from my own future of reading and understanding Rudolf Steiner when I was aged 38 and over. I consider these two men as having the most important influence in my life as a thinker, writer, and full human being. Their thoughts and writings have enriched my adult life.